Are Your Kids “Catching” Cavities? It’s not surprising that it’s possible to catch a cold or the flu. But are cavities transmittable like these common viral infections? Not only is it possible, but it frequently occurs between parents and their children. Studies have also shown that transmission typically occurs between couples. Researchers have discovered that tooth decay is not very different from other infections. Just as the common cold can be passed from person to person, so can cavity-causing bacteria. Tooth decay is the most common chronic childhood disease. Cavities form when plaque, a slimy film of bacteria, sticks to teeth. This bacteria feeds on food particles and sugars left over on teeth, and produces acids that destroy tooth enamel. Researchers have found that this bacteria is often transmitted through sharing utensils, drinks, foods, and kissing. Generally, any activity that involves saliva passing from one mouth to another. Mothers with cavities can transmit oral bacteria to their infants, for instance, when cleaning pacifiers or testing to see if food is too hot. It is very common to share food with your family using the same spoon or fork. Sometimes parents might even find themselves cleaning off their child’s spoon with their own mouth. By avoiding this habit, you can help prevent the flow of bacteria in your household. Clean pacifiers with water from the sink. Avoid washing off pacifiers with your mouth. Washing the pacifier with warm water from the sink or having an extra pacifier nearby is much more beneficial for your child’s oral health. Only use your own toothbrush. Make sure that every one has their own toothbrush! Bacteria from your mouth resides on your toothbrush and should not be shared with anyone else to avoid passing bacteria around to other family members. Also, the American Dental Association recommends changing your toothbrush approximately every 3-4 months. Encourage keeping a clean mouth. Make brushing teeth contagious! Get your child excited about brushing by creating catchy songs for brushing or brushing along with your child. Also, try taking your kids with you to pick out a fun colored toothbrush. Remind your children to brush and floss after meals. Sugar helps bacteria thrive and produce acids that lead to tooth decay. Avoid sports drinks, sodas, and many fruit juices because they typically contain a lot of sugar! Milk and water are good beverage options for keeping your child hydrated. Dental sealants are also a good resolution for fighting tooth decay. Sealants provide a protective layer for the chewing surfaces of your child’s teeth. 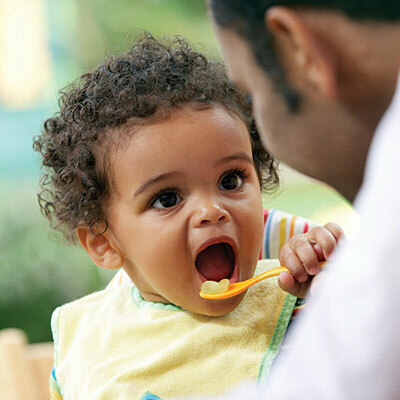 It is essential to remember that your child’s oral health is directly related to their overall health! Poor oral health habits can increase risks for developing other diseases and infections.